Service technician, Anja Rögl-Brunner discusses customer challenges and working all over the world. ‘We’re only as good as our service’. It’s StrikoWestofen’s promise to be a reliable partner and always there for customers: 24 hours a day, throughout an entire product lifecycle. Anja Rögl-Brunner knows what that means in practice. As a member of StrikoWestofen’s service team, she is there for customers around the world – from the commissioning and maintenance of StrikoWestofen’s furnace technology to equipment emergencies. In a short interview, Anja talks about her role as a brand ambassador and shifting trends in foundries with increasing emphasis on health, safety and sustainability. Anja, you have been with StrikoWestofen since February 2017. How did that come about? I have always been interested in technical things. When I started my career, I began specialising in furnace technology. And because I wanted to be at the very cutting edge of it and work for the market leader, StrikoWestofen attracted me immediately. The brand represents the very latest state-of-the-art in furnace technology for the global light metal casting industry. I wanted to work alongside technical experts who pursue holistic solutions – from melting and dosing through to heat treatment. What is your remit as a service technician? What do you do? I mainly look after the commissioning, maintenance and inspection of our furnace systems. I do appraisals too. Just recently, I analysed three Westomat dosing furnaces for a customer in Austria with a view to identifying potential savings. The furnaces had been fitted with third-party spare parts. 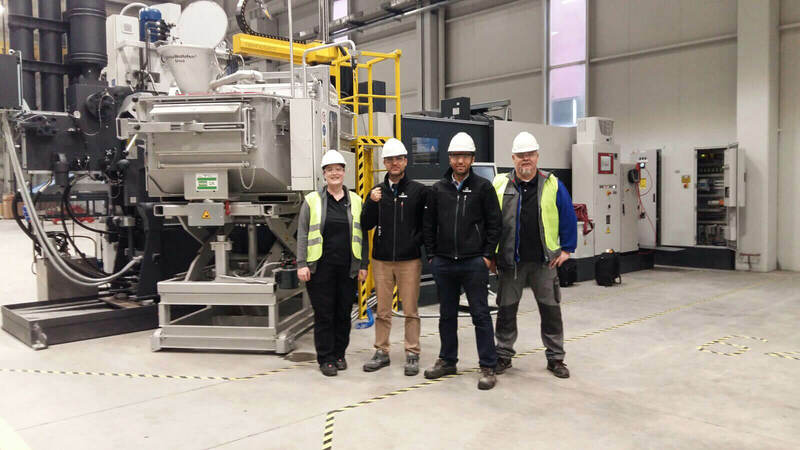 Following analysis and technical discussion with the customer and colleagues, we decided to renew the fireproof material and bring the system up to date using original StrikoWestofen spare parts. As a result, energy use of the furnaces was reduced significantly, while at the same time improving dosing accuracy. That’s an example of how we can show customers that investments in their existing systems can be worthwhile. Commissioning can be planned well in advance. Equipment breakdowns on the other hand happen without warning. How do you deal with those? Foundries can rely on us around the clock. Our hotline is available 24/7. Whenever we’re needed, we’re there. As part of the Norican Group, we can now tap into an even larger global service network. Your systems are installed all over the world. Where has your work taken you so far? In the last few months, I have supported customers in Germany, Austria, Italy, Hungary and Slovakia. I’ve also been to Mexico and Turkey. That’s a lot of travelling! What’s it like for you to be away on business so often? I like travelling and discovering new places all the time excites me. As service technicians, we meet customers in person through our work on site. So we are also ambassadors for the brand. It’s a tall order, but also true: for staff at customer foundries, we provide a face to the StrikoWestofen name. You’ve seen the inside a lot of different foundries. Have you noticed anything in terms of working conditions? On the whole, I see a trend towards health and safety as well as greater environmental awareness. The so-called “hot hell” is fast becoming a thing of the past. There is an increasing emphasis on a safe, clean and ergonomic working environments - and on sustainability. However, it goes without saying that there are still great differences between foundries – especially between newly-built and older facilities. To end on a more personal question: foundries are still populated mainly by men. Does the fact that you are a woman in a male environment ever come up? It’s true that women still are quite a rare sight in our industry. Some customers are surprised to see a female technician. Sometimes they bring it up directly, but always in a positive way. 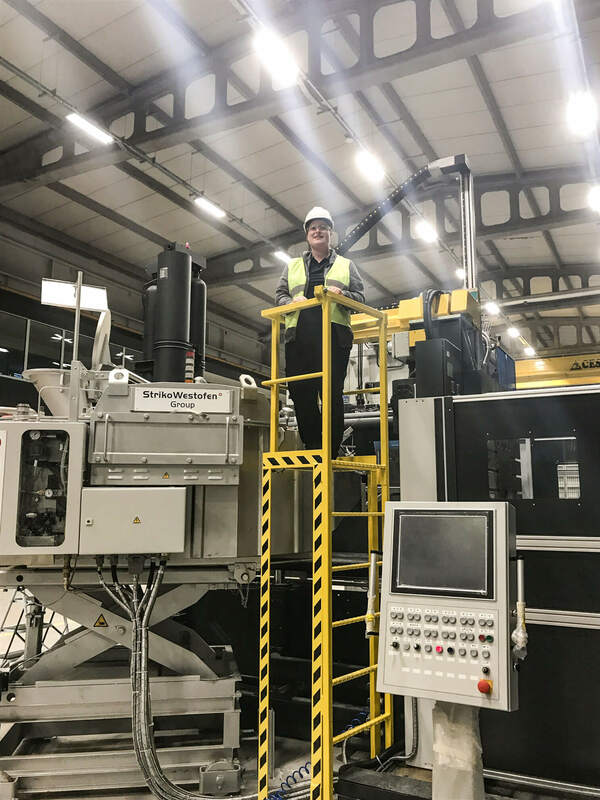 A customer once said to me that he knew there were a lot of good female technicians and engineers out there, and that he would be delighted to welcome more female colleagues to the industry. They just have to go for it, he said – and I agree with him. For my part, I have always felt welcomed and accepted. Anja Rögl-Brunner is a service technician for StrikoWestofen. After graduating from a high school in Austria, she attended a technical college. Over a period of two-and-a-half years, she had her first professional experience of foundry technology. Anja Rögl-Brunner came to StrikoWestofen in February 2017. Since then, she has commissioned more than 15 dosing furnaces in seven countries. She is currently studying engineering sciences alongside her technical profession at StrikoWestofen.